During my travels, I have met multiple cooks and restaurateurs from Dehradun. 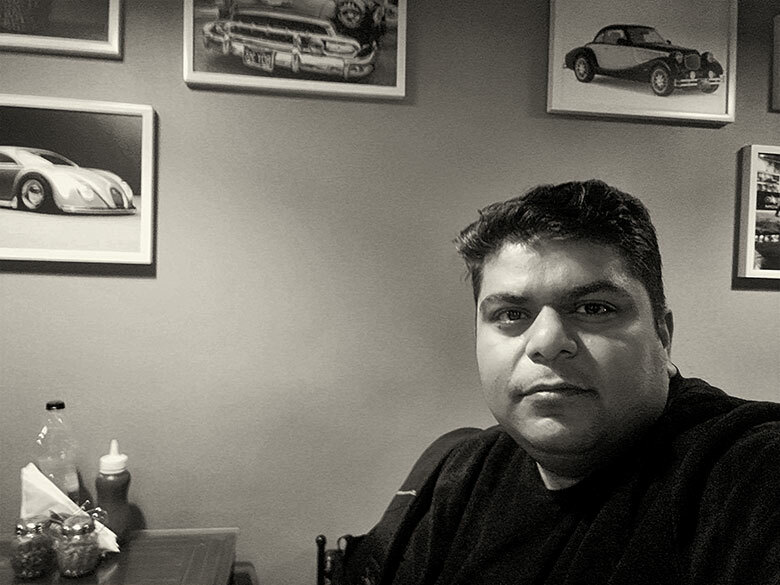 So when I landed in Dehradun yesterday, I was expecting to have some delicious food there. 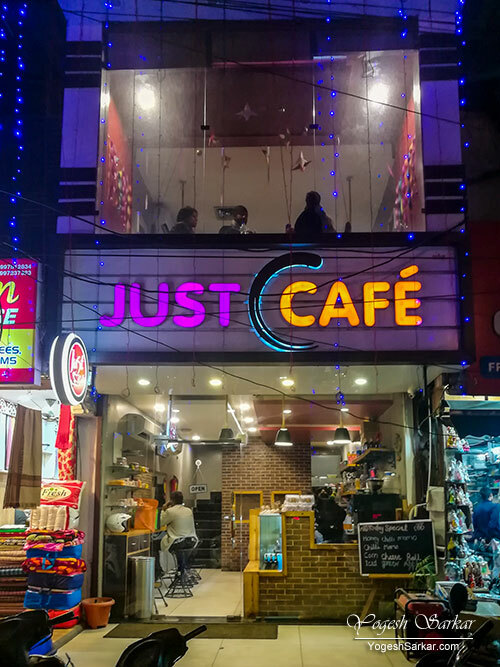 Even though my friends hadn’t recommended it and it wasn’t on the recommended list of Zomato either, I decided to check it out, since it looked interesting from the outside. I went inside and checked the menu and it looked good. So I went to the first floor, where the proper seating arrangement was. 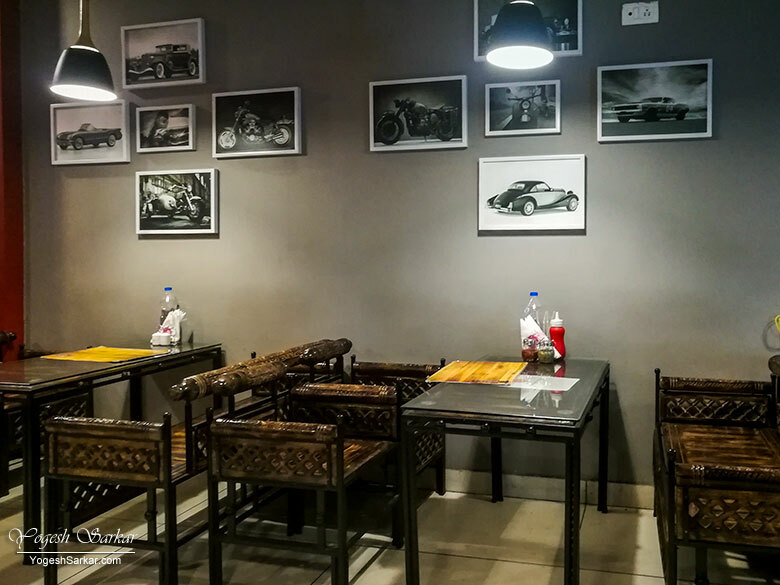 It was decorated in a very classy manner with a lot of black and white portraits of cars and motorcycles adorning the wall. The photographs added very well to the overall ambiance. Though if I had to nitpick, then I feel a handful of newer automobile portraits, although in black and white, didn’t belong alongside the classics. 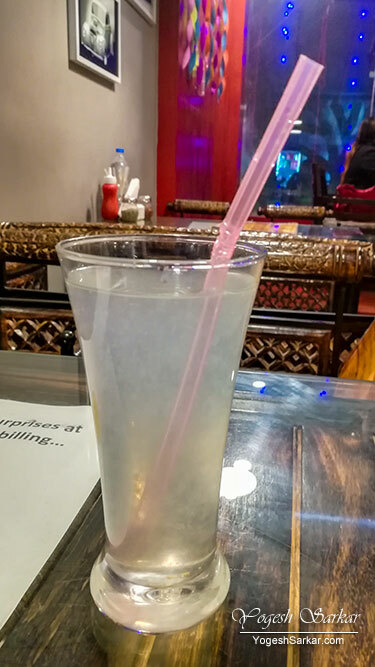 While browsing through the menu, Pasta Cocktail Sauce, made of tomatoes and creamy white sauce, caught my attention and I decided to order that, along with a sweet lemonade. Lemonade was light on sugar and lemon, yet very refreshing. And even though I like lemonades with plenty of sweet and sour taste, this still felt good, though not perfect. The Pasta on the other hand with a cocktail sauce of tomato and the creamy white sauce was just perfect! Well cooked and with plenty of creaminess and just the right amount of the tomato flavor to ensure, neither flavors overpowered the other and yet, the fusion tasted really good! 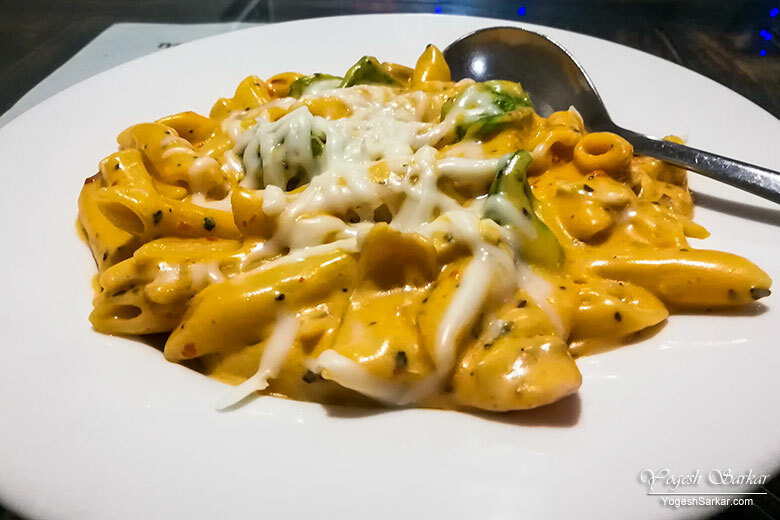 Even though, large pieces of onion and capsicum did somewhat distract from the taste of the pasta and the lovely fusion of red and white sauce. They weren’t a lot or a real annoyance or deal breaker. Though I would have preferred smaller pieces which just got immersed in the fusion of the red and white. In fact, the Pasta with Cocktail Sauce was so well made that I was tempted to order something else as well, even though I was quite full! In the end, mind managed to overpower the stomach and I decided to call it a night and went to pay the bill, which was just Rs. 165, Rs. 130 for the pasta and Rs. 35 for the lemonade! Service was prompt and courteous, far better than what I have received at cafes charging several times more. Overall, it was the perfect way to end my few hour stay in Dehradun and manage to put a smile on my face, as I looked for an auto to take me to the ISBT.